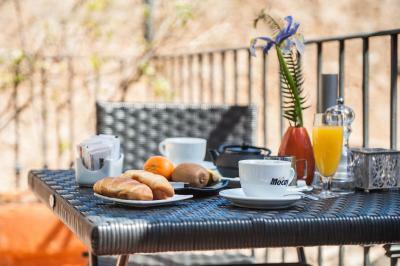 Lock in a great price for Hotel Can Simo – rated 8.5 by recent guests! This was more like a restaurant that had some rooms upstairs. It did not give off a hotel vibe, but staff were still kind. Great location (close to bus station for easy access to beach or excursions) nice spacious room, huge bathroom (I loved this the most! ), breakfast was decent with an inner courtyard. Right next to a library, which had opera nights! 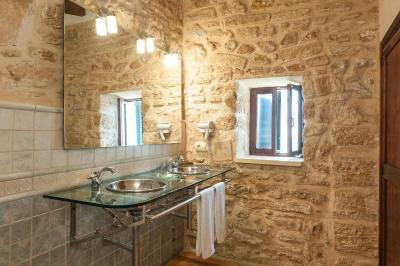 Cute rock walled rooms. Pablo was lovely and the restaurant food very good. The location is perfect. A lovely stuff. Big room and great bathroom, everything was new. Small hotel perfectly located in cosy city centre. Friendly and helpful staff that helped us well. 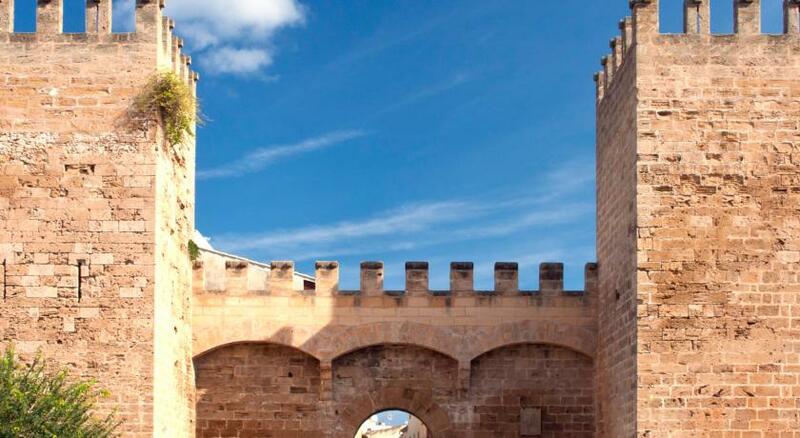 The location was great in the middle of historic town, plus I really liked the old Spanish style of accommodation, felt so true and authentic, and the staff were kind and helpful. The staff at the hotel were very pleasant, always service with a smile and so what they can to help. The location was very good, some lovely local restaurants and great public transport to everywhere needed. The room was wonderful, not the largest but everything we needed. The breakfast was also very good. 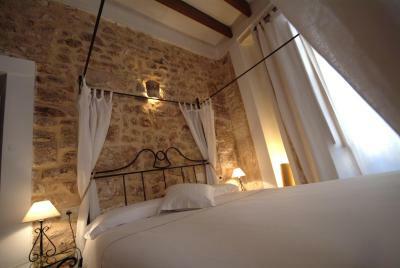 The hotel is located in the old town and we find it very charming. Hotel Can Simo This rating is a reflection of how the property compares to the industry standard when it comes to price, facilities and services available. It's based on a self-evaluation by the property. Use this rating to help choose your stay! One of our best sellers in Alcudia! 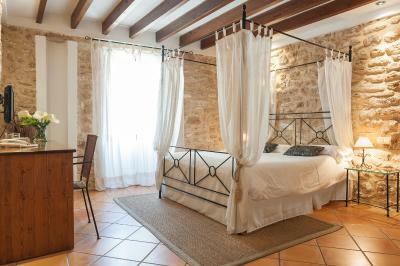 Can Simó is a small, exclusive hotel occupying a prime position in the historic town of Alcúdia just a few miles from both the Bays of Pollensa and Alcúdia with their beautiful sandy beaches and only 2.5 miles from the Alcanada golf course. A former 19th century Mallorcan manor house, it has been refurbished to a high standard combining the traditional Mallorcan style with modern day luxury. Here you will find the friendly and personal touch to make your stay an unforgettable experience. When would you like to stay at Hotel Can Simo? 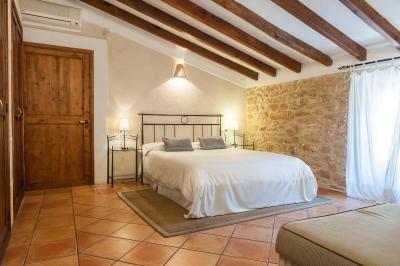 This luxury air-conditioned double room offers satellite TV and safe. 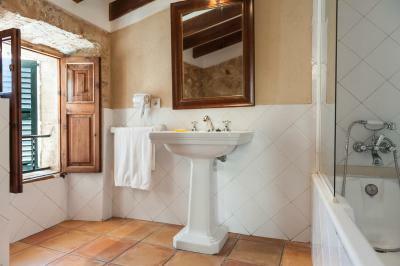 The private bathroom features a bath. The rooftop terrace is completed with a small solarium and mini pool. House Rules Hotel Can Simo takes special requests – add in the next step! Hotel Can Simo accepts these cards and reserves the right to temporarily hold an amount prior to arrival. Please inform Hotel Can Simo of your expected arrival time in advance. You can use the Special Requests box when booking, or contact the property directly using the contact details in your confirmation. Coffee at breakfast could have been better, other than that breakfast itself was nice. No coffe/tea facilities Ran out of soap in bathroom Not restocked.Internet poor. The dinner as booked with booking.com (and so was half board evening meal) was abysmal. Average soup, meat so overcooked it was nearly inedible, a watery cheese sauce with zero taste and a half scoop of lemon sorbet - and none of it presented with care. What a disappointment! Restaurant is obviously a separate business and as such you are made feel like a second rate customer compared to other (paying) diners for evening dinner. WiFi didn’t work in the bedroom. Breakfast without a lot of options. Don’t have 24hs front desk. I did not like the poor light in the bathroom. Lovely property in a great location. There is a restaurant somehow connecting with the hotel. Our room is facing the backyard. In principle those rooms shall be very quite during the night. however due to the restaurant running till the middle of the night( around 1 am), it is quite nosy during the night. We did not sleep well there.